I adore this color...its so luxurious looking, don't you think? It almost has a very vintage quality that I love. 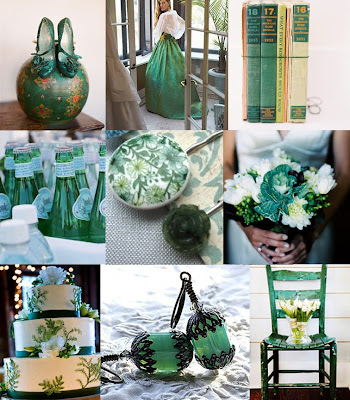 This green theme is asolutely stunning. I love the display. Very beautiful. Wonderful collection of photos. I really like the floral bouquet.